Ark Lodge Cinema is available to rent for Movie Parties, Public or Private Film Screenings, School Visits, or Other Events. Let us know what you have in mind and we’ll try to make it work! Please review our Current Rental Info sheet for details on venue rentals. To submit a Rental Request follow this link (please review Rental Info sheet before submitting). Ark Lodge Cinemas will not grant facility use for events that restrict admission to public events on the basis of race, color, national origin, sexual orientation, disability or gender. 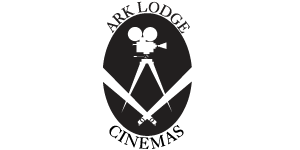 Ark Lodge Cinemas also reserves the right to deny facility use to any event which it considers dangerous, illegal or contrary to the our company's mission.